Courtesy of Weichert Realtors- Triangle, Kelli Kaspar. Elegant light-filled cape on a gorgeous, private acre+ culdesac lot! 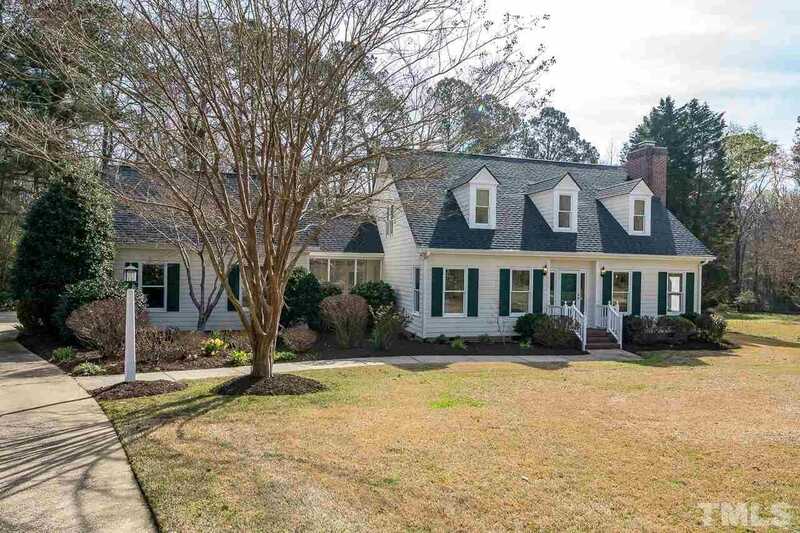 Beautiful quiet neighborhood, yet only 15 minutes from downtown, Cameron Village and NCSU & 10 minutes from I40, NC Farmers Market & Cary shopping. First floor master + 2 large 2nd floor bedrooms & detached bonus room/office above the garage. Top all that off w/ a lovely screened porch, gas log fireplace, bay window in the breakfast room, remodeled master bath, and new roof. Flowers galore! No HOA means bring the RV or boat! South on Lake Wheeler Road, pass Yates Mill, take a left on Whipple Tree, turn Right on Charland Court. Home located on cul-de-sac. Please, send me more information on this property: MLS# 2243422 – $349,000 – 1300 Charland Court, Raleigh, NC 27603.